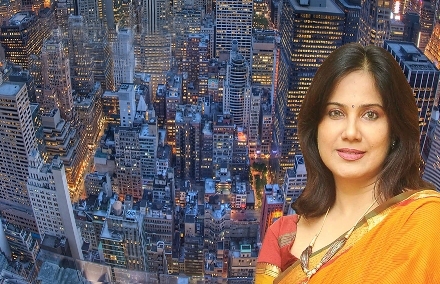 Ms. Karuna Gopal is invited to give Plenary Keynote at the Co-located Conference of Royal Institution of Chartered Surveyors (RICS), the only Global body invited to run a full day conference in partnership with WORLD CITIES SUMMIT, to be held from 10th to 14th July at SINGAPORE. WORLD CITIES SUMMIT a biennial, five-day conference is an exclusive platform for government leaders and industry experts to address liveable and sustainable city challenges, share integrated urban solutions and forge new partnerships, and is jointly hosted by Singapore’s Centre for Liveable Cities and Urban Redevelopment Authority. The Summit will have Ministers and Mayors from 200 countries across the Globe to discuss pressing urban issues and share best practices with one another. Additional Mission Director, National Mission for Clean Ganga, Ministry of Water Resources, River Development & Ganga Rejuvenation, Government of India and Senior Bureaucrats as part of Indian delegation. The peer-to-peer platform invites Mayors and Senior leaders from international organisations and the industry to exchange experiences in developing integrated urban solutions, building economic and environmental resilience, engaging with communities and sustaining a high quality of life in urban regions. Ms. Karuna Gopal will Chair the Plenary Titled “Practical approaches to building smarter cities” on 13th July 2016. http://www.eventbrite.sg/e/rics-conference-2016-cities-in-a-digital-world-registration-24339990567?aff=evvnt.